Top 10 Chalkboard Wedding "Save The Dates"
These Chalkboard wedding save the date invitations are full of elegant wedding charm. Announce your wedding in style with a beautiful chalkboard save the date invite. 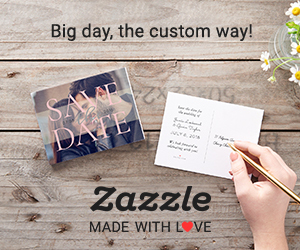 With stylish typography font these invites are perfectly suited o all kinds of wedding theme. From traditional to modern, formal to informal, large to intimate.... and everything in-between. Chalkboard invitations can also be used for many different themes of wedding, like a Boho wedding, an afternoon tea style wedding, a beach wedding, or a rustic or vintage themed wedding. The chalkboard save the date invites can be personalized, some you can upload a picture/s too for an even more personal announcement. Simply change the text, font, colour and layout before choosing from a selection of paper types and finishes. Chalkboard wedding save the date invitations are a lovely way of announcing your wedding plans to your family, friend's and party guests.